MRI: Essentials for Innovative Technologies describes novel methods to improve magnetic resonance imaging (MRI) beyond its current limitations. It proposes smart encoding methods and acquisition sequences to deal with frequency displacement due to residual static magnetic field inhomogeneity, motion, and undersampling. Requiring few or no hardware modifications, these speculative methods offer building blocks that can be combined and refined to overcome barriers to more advanced MRI applications, such as real-time imaging and open systems. 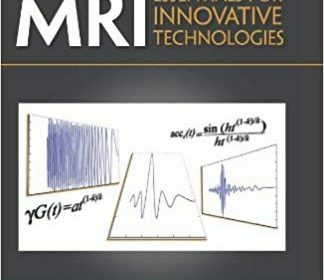 After a concise review of basic mathematical tools and the physics of MRI, the book describes the severe artifacts produced by conventional MRI techniques. It first tackles magnetic field inhomogeneities, outlining conventional solutions as well as a completely different approach based on time-varying gradients and temporal frequency variation coding (acceleration). The book then proposes two innovative acquisition methods for reducing acquisition time, motion, and undersampling artifacts: adaptive acquisition and compressed sensing. The concluding chapter lays out the author’s predictions for the future of MRI. For some of the proposed solutions, this is the first time the reported results have been published. Where experimental data is preliminary or unavailable, the book presents only numerical solutions. Offering insight into emerging MRI techniques, this book provides readers with specialized knowledge to help them design better acquisition sequences and select appropriate correction methods.